The Queen of our Herd since 2004! Spice girl is the first offspring of our multiple blue ribbon winning dam PacaBelle and rose grey blue ribbon winning sire Kinross. This girl has a LOAD of fleece. 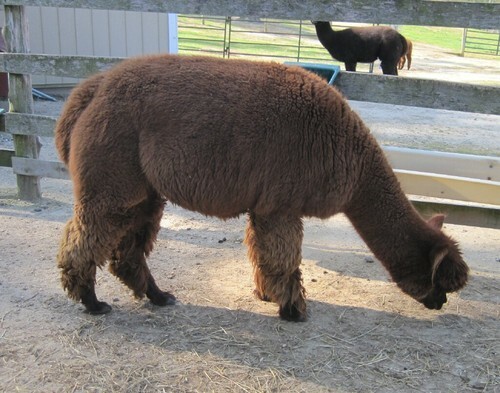 Her fleece is very soft with nice crimp and density but it's the staple length that is amazing. She consistently has some of the longest fleece on the farm. 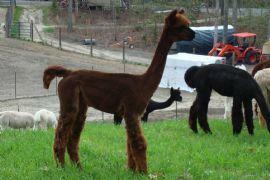 Her color is a lovely medium brown with black highlights. 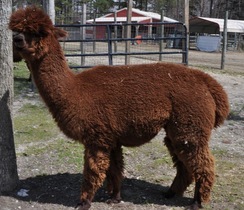 A friendly and inquisitive girl, she has the temperament to guarantee she is a farm favorite and often greets visitors and leans in for a neck scratch! A product of fine blood lines, her sire, Kinross of Cairngorm, is a light rose grey out of an award winning silver grey Ben McDhui and Request the Best on his sire's side and Royal Peruvian Challenger on his dam's side . 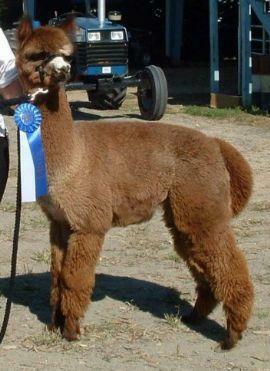 Kinross has taken the blue at several halter shows and has won ribbons at fleece events as well. Her dam, PacaBelle has won multiple blue ribbons in both halter and fleece events. Her crimp and fineness combined with perfect conformation set her apart from the rest. 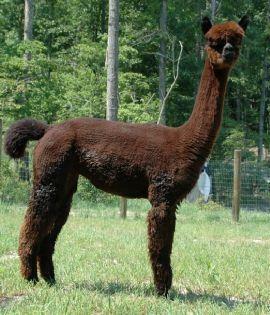 Her lineage includes the multiple show winners Knight of Camelot (TB) and Mr Roosevelt (MRG). 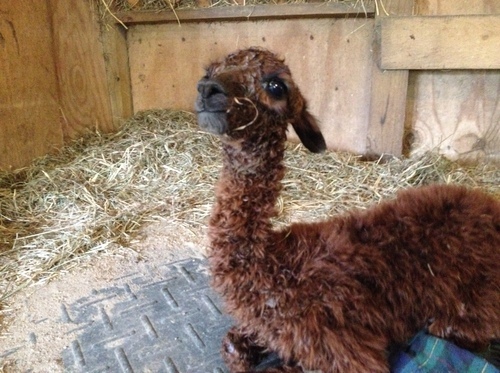 Spice has delivered three females crias - a beige, a true black and her last, a medium brown who weighed 18lbs at birth. She could throw any color! A farm favorite, we have decided to keep her forever and take her off the sales list. She is adopted by Erika.